Sent in by Indra Anandasabapathy. 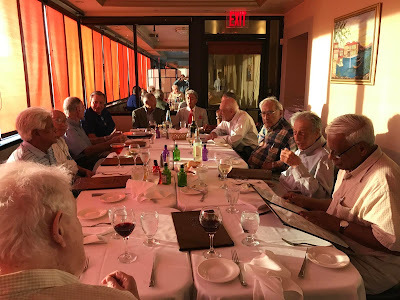 Today some of the ‘ survivors ‘ met at a local Italian restaurant on Staten island, New York to break bread.This is a group of physicians who were on the staff at Staten island university hospital for years ( the 5th largest in NY ) who are all retired. There are two of Sri Lankan origin in these pictures. The second one besides yours truly is Dr. Fawzie Saleem, an internist , wearing glasses seated on the right. We had two other Sri Lankan physicians on staff , both of them anesthesiologists (one still active, other deceased ) on staff. Thanks Indra. It is good to know that Sri Lankans continue to make positive contributions to the Societies they belong. Long may it continue. Indra, Thank you. It is nice to see you partaking of the breaking of bread. Very broad minded. Another instance of “doctors without borders “. Great. 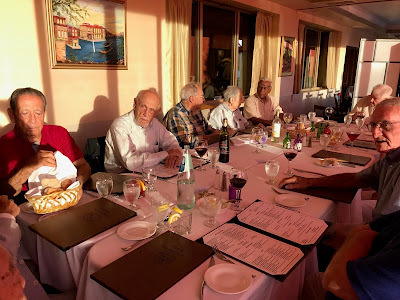 Indra, it is so nice of you to share these photos with us. 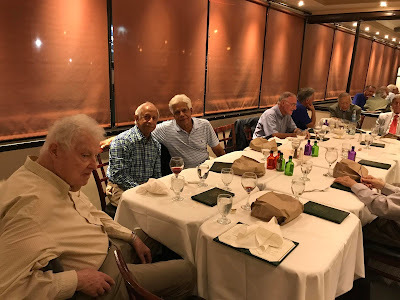 It is so good to know that Sri Lankans keep in touch with their old colleagues and get together with them in convivial surroundings to part take of a slap up meal.